The Spanish defender believes the young prospect will not find a bigger club than Chelsea. 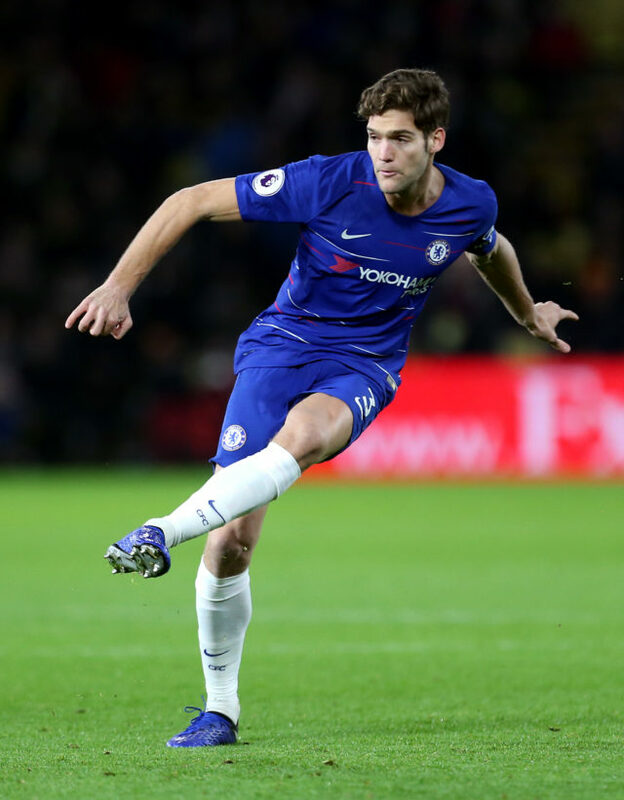 Defender Marcos Alonso has told team-mate Callum Hudson-Odoi that he will not find a bigger club than Chelsea. The exciting teenager is being linked with a £35million move to Bayern Munich after struggling for game time at Stamford Bridge – though he has started the last two cup games, including the Carabao Cup semi-final first-leg defeat at Tottenham. 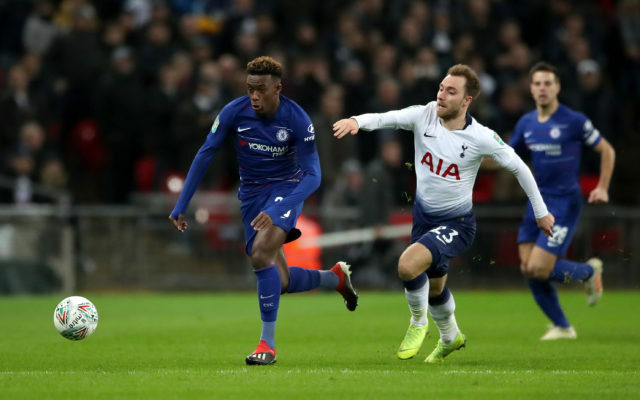 Although Bayern are regarded as one of the heavyweights of European football, Alonso feels Chelsea can match them if they Hudson-Odoi is prepared to be patient and wait for his chance. "He is a good player, but he is very young," he said. "He needs to have patience and to be hungry and fight for a place in this team. Alsono has called for officials to get clued up with VAR after Spurs gained the Carabao Cup semi-final advantage. Spurs were awarded a 26th-minute penalty at Wembley after VAR was used, which Harry Kane converted to give his side a 1-0 win going into the second leg at Stamford Bridge. But that does not tell the whole story as it came after a lengthy delay where was used to rule that the England striker was onside in the build-up to getting clattered by goalkeeper Kepa Arrizabalaga. Kane looked marginally offside in real-time and although the linesman did not put his flag up, he stopped on the touchline and did not keep up with play, which was allowed to continue. The officials have been given a directive not to flag in tight offside calls and allow play to develop, but he should have kept up with play. Alonso claims Chelsea's defence saw the linesman stop and allowed Kane to run clear. "Maybe we were unlucky because they only had one chance and that was thanks to the linesman, the VAR," the Spaniard said. "Watching it on video it looked offside and the linesman stopped so we all stopped. "The referee told me they have explained it to us already but maybe they haven't explained it to the linesman because he stopped and if there is any doubt that it is offside he has to continue running. "I'm very disappointed because they didn't cause us any trouble, we controlled the game and were the better team but we lost 1-0. "The guy stopped, if we have to wait for VAR I think he has to continue, but he stopped in the middle of the park. "So it is a bit confusing when he stopped to put the flag up and then we have to keep running and it changes because maybe Kepa could have got to the ball quicker or a defender could have run back but we stopped. "Today it created a lot of confusion, I don't know what they have to do, but they have to explain it properly to the linesmen and referee to us, because if the guy stopped then I don't know why play kept going."